Arseny had been a sports enthusiast for years when he lost his leg in a motorcycle accident. Determined to hold on to his passion, he turned to a Zen surfing instructor in Bali for help, both spiritual and physical. He hoped learning to catch a wave would give him back the sense of freedom he always got from sport. Arseny’s persistence and surprising results even inspired his surfing teacher to work on overcoming his own fears in pursuit of his dreams. 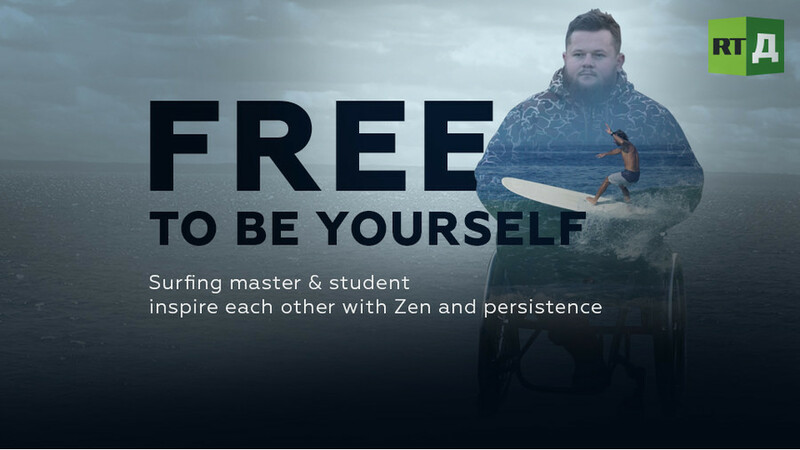 Watch "Free to be yourself" on RTD website and on RT’s live feed. The time of the broadcast is available on RT’s schedule page.